Reese Bourgeois is President & Managing Director of Flow Consulting, a consortium of experienced consultants with proven expertise in helping organizations make dramatic improvement in their leadership and business processes. The focus of Flow Consulting is to accelerate business solutions using Lean Manufacturing and Six Sigma concepts, ultimately linking these into a strategic focus for rapid, measurable results for impacting business growth. Reese’s areas of expertise focus on Lean Enterprise, Business Process Cycle reduction, Leadership Coaching, Leadership Development, and Customer Stratification. 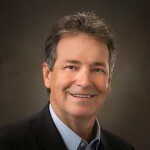 Prior to Flow Consulting, Reese was a Director of Process Innovation at Dove Consulting and an Executive at General Electric in the Industrial Power Generation Division and Aircraft Engine Division. Reese earned a M.B.A. in Business Administration from the University of Florida and a B.S. in Industrial Engineering from Louisiana State University.